According to the experts Portland is considered to be the top spot for sea angling in Britain. Portland’s coves, rocky outcrops and Chesil Beach offer many opportunities to fish. This is confirmed by the number of national and international competitions that are regularly held here. Parking is available opposite Pensyvania Castle and then you will have a short walk followed by a number of steps (aound 100) to get to Church Ope Cove. Church Ope offers a number of options to fish from, either straight off the pretty beach or on the rocks either side of the cove. The left hand side of rocks in particular are considered one of the few places that you can catch Cuckoo Wrasse. Church Ope is mainly a summer venue and you can expect to catch Pollock, Bass, Wrasse, Garfish, Scad, Gad, Sole, Mackerel, Dogfish and Pout. After dark you can expect Dogfish, Pout, Smoothound and Bass. Moving clockwise from Church Ope brings you to Freswater Bay. This area makes the top four in the UK for Conger Eel hotspots and Congers of 50lb have been caught along this stretch of coast. Wrasse are also plentiful along this stretch and the area provides some protection from south-westerly winds, the most common wind direction here. 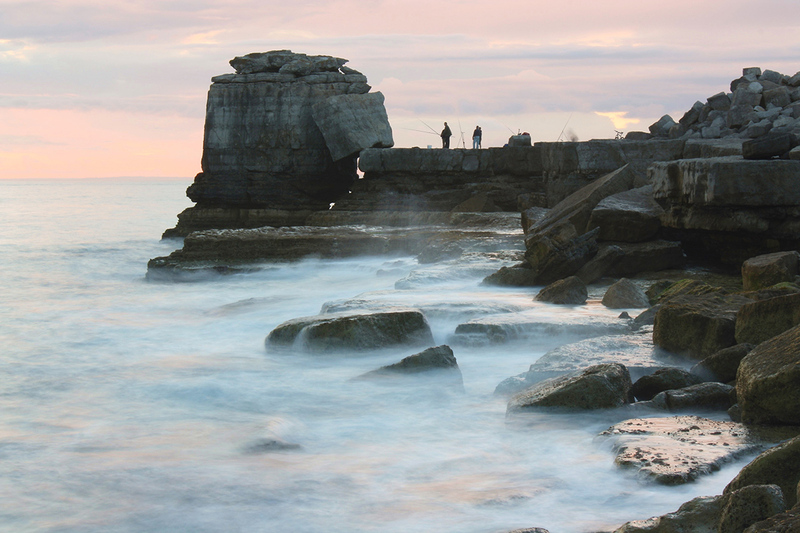 Portland Bill is probably the best place to fish on Portland and offers all types of fishing whether it be float, legering or spinner. Another great spot for Conger, with all the old large quarry rocks under the water level for the fish to hide in it also a place for the experienced. Along the western edge are several ledges which accommodate the less experienced or younger fisherman. Expect to find all the usual suspects, Wrasse, Pollack, Bass, Mullet, Garfish, Mackerel and even the odd Red Scorpion Fish. No visit to the Bill would be complete withouth mentioning the Wrasse anglers mecca, Pulpit Rock. Whether you are fishing from on top of it (not for everyone!) or beside it the area here provides some of the best Wrasse fishing available anywhere. To back this up the record for the largest Ballan Wrasse ever caught is from here, weighing in at an impressive 9lb 10oz. Cod and Pollack can also be caught in good numbers from this spot. From Pulpit Rock to Chesil Grove is considered West Cliff and there are some worthy places to fish along this stretch. However, due to the height of the cliffs and the dangerous paths (and I use that word very loosely) the area is best avoided. If you wish to fish the area you are better of getting on a boat. 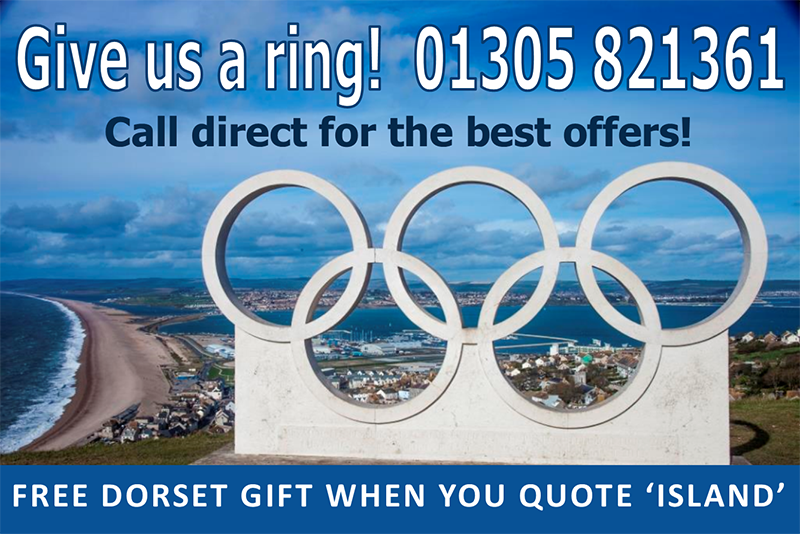 However, all is not lost along the western edge of the island as you get to Chesil cove which is accessable. Pretty much all species mentioned above can be caught from here but worth mentioning are the catches of 20+lb Cod and the British record for Rockling.